Richard W. Garcia, 62, passed away November 2, 2018. He was born June 11, 1956 to Guadalupe and Jennie (Montoya) Garcia who both preceded him in death, along with his granddaughter, Angelica Elanie Espinoza; stepdaughter Kimberly. Richard loved to fish and watch the Broncos. His favorite fresca was Bushlight, he loved Saturday Pancakes and calling his family on the phone and saying “Eeeh damnit and Hey Darling”. Richard served in the Army and was always willing to lend a hand. 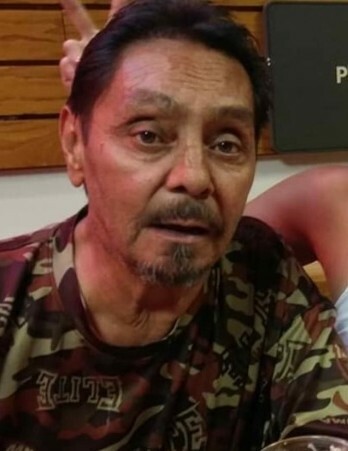 He is survived by his daughter, Virena Espinoza; significant other, Connie Garcia; stepchildren, Rachel, Julian, Jennifer, Juanita, Christina and Angelina,; siblings, Anthony (Elaine), Rosalie, Robert (Beth) Beverly (Eric) and Gary (Loretta); 15 grandchildren and a host of other family and friends. Celebration of life, 1:00 p.m Friday Angelus Chapel.